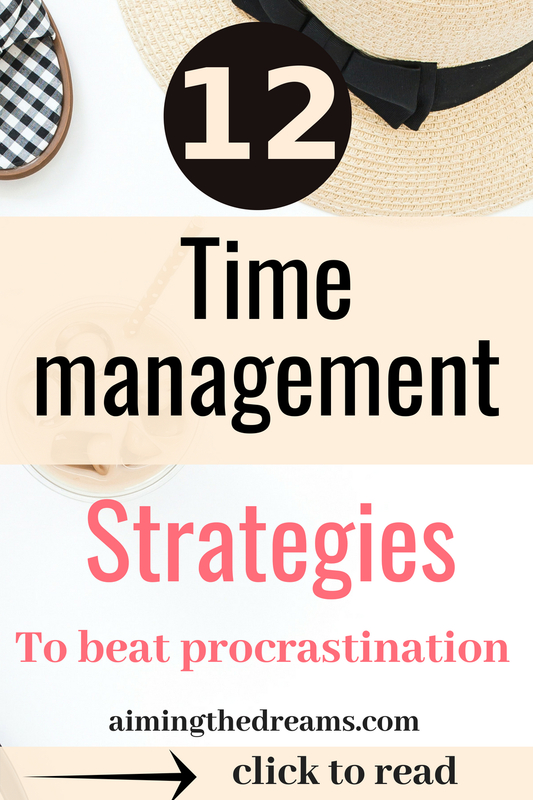 Time management is crucial for your work because we all have only 24 hours. But some if us can accomplish really more in these hours. Here the key is to find out what is urgent and most important for you . 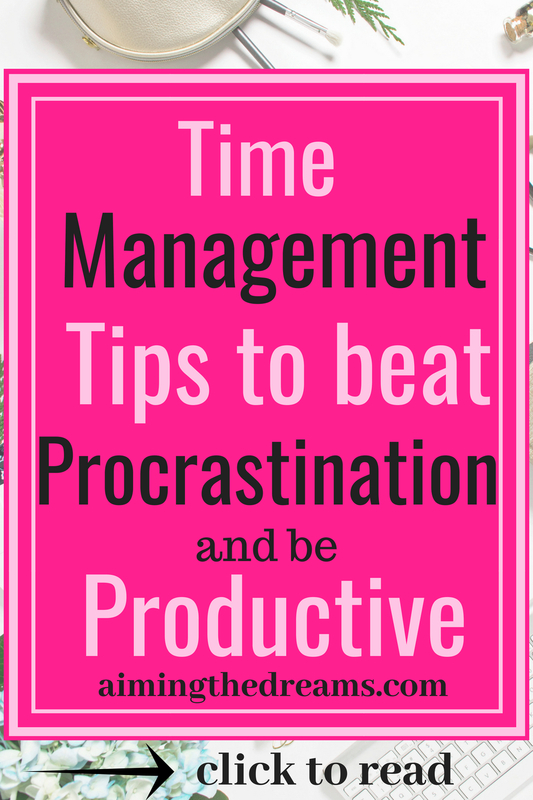 There is a correlation in time management and procrastination. Those who procrastinate, always waste their time on trivial things instead of most important tasks. I like to write about procrastination because I was the biggest procrastinator anyone could imagine. But with little changes in my way of working and thinking, I could change my way how I manage my time and productivity. Here I am not talking about procrastinating little bit, but a chronic procrastination. Even now, I could easily go into phase of putting things off but the best part is that I could figure it out easily that I am procrastinating. I could bring my mind back to work. Its all about how your mind works. There are so many time wasters in today’s world and most of the things which takes up your time are those which are not that important. This step is crucial if you want to master time management skills. 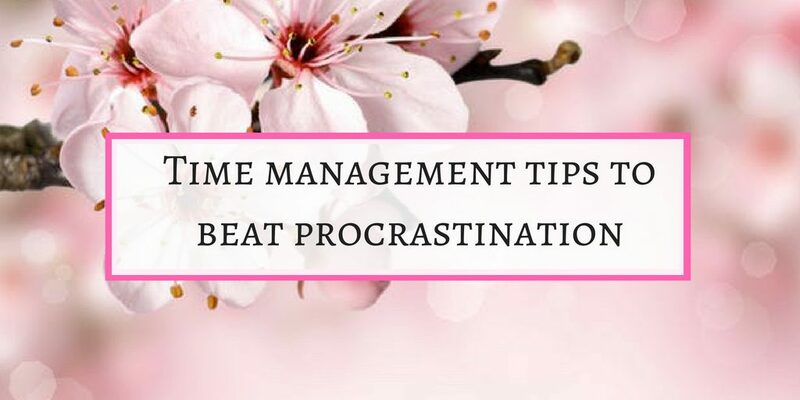 Time management and procrastination are correlated. You procrastinate when you don’t put right efforts at right place. To free yourself from this habit, you should know your time wasters or how you waste your time. This is an amazing tool to remind you how to work efficiently. According to Francesco Cirillo, human mind can only concentrate on a given task for a short span of time. He figured out that after working for 25 minutes, your mind needs a break. A short break. After this short break you are again energized to start your work on the task. Take 5 minute break after 25 minutes and take 10 minutes break after one hour.When you see some results for your most dreaded work after 25 minutes, you will feel motivated to do more. Gradually, you will be able to start working regularly even if you feel the task is not that easy. If you feel overwhelmed by the sheer number of tasks you have to complete, it is better to start with 3 tasks a day. When you will be able to accomplish those 3 tasks, you will be motivated to do more. Earlier my task board was full of tasks. Out of which, I was able to do only few. That made me overwhelmed, due to which I would not check it for many days. I was not able to accomplish much. But now, I try to write 2 or 3 tasks and it has helped me tremendously in that. I am a very big day dreamer. I will stop my work and start dreaming about when I will have this or that then……. . But I never accomplished my daily goals. Believe me, when I came to know about my habit, I felt like I am a biggest procrastinator. Just thinking and no action. But things started changing as soon as I realized that I am procrastinating. Sometimes you just feel so comfortable doing easy tasks and waste all of your time on that. And you never have time to accomplish your most important tasks and deadlines. This is the peak of time mismanagement and procrastination. For success, you need to learn to be uncomfortable. It is so easy to sit in front of TV and watch your favorite dramas. At the same time, getting up and doing your difficult task is really difficult. But this is the key to become successful and accomplish your goals. Writing your goals on paper will remind you about the actions you need to take to move further. When you can see your goals, you can prioritize them according to their importance. You can also eliminate what is not important and put your energy into the tasks you need to done urgently. Here is a goal planner you can use to set your goals. This planner helps you in planning professional goals, personal goals as well as spiritual goals. I have two of these and love my task boards in front of me. I work from my bedroom because I have an eighteen month old baby who sleeps in my room. And it is both of us, So I cannot leave her . That’s why I have put my working table here. My boards are also in my room. I write everything on my boards. These are life savers because I get to remember everything . Otherwise I forget everything and go into same lazy mode. Most of the projects or tasks have deadlines but you tend to put it off. Now take a piece of paper and think about the consequences of not doing that task. You may loose some project , contract or job. If you are putting off going to doctor, you are jeopardizing your health. You can see the picture of consequences you will suffer by putting things off. Write your important tasks and write consequences of not doing them in font of them. Now, this will give some boost to start working. Ebody loves good outcomes and hate bad outcomes. Most of the times, reason for wasting your time in non productive activities is fear of failure in particular task. Due to fear, you tend to waste time either intentionally or you will start thinking of becoming a perfectionist first. If this is the case, confront the fear. You will not become perfectionist by procrastination but rather by working on that particular thing. Confronting what you dread doing also gives you confidence in your own self. You will be more inclined to see your own capabilities and start working according to them. Starting any task is the most daunting task. When you are not comfortable about anything, you try to put that work off for as long as you can. You waste your time in all those things that are not important. But if you can trick yourself in taking action and starting the task, you will be able to go further from there. Instead of going on thinking about your tasks, it is important to take action. Even a small step taken now will adds up at the end. Tell your family and friends what you want to do. Even if you forget about your tasks, your friends will definitely make you remember your goals. If I tell my mother what I want to do, whenever I will call her, her first question would be to ask me about that particular thing. Sometimes that annoys me but it is a good thing because I become obliged to do that. I know she would ask me next time also. As you have started after breaking your project into smaller chunks, you will complete smaller tasks on the way. And whenever you accomplish something, reward yourself. This will give you motivation to accomplish more. Rewards have a very good effect. Small rewards increase autonomous motivation. These are my favorite points I personally implement on myself. 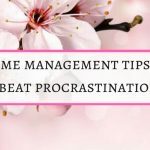 How do you manage your time and stay away from procrastination. Please tell me in comments. If you like this, please share . I would really appreciate this. I love this list!!!! I can be such a procrastinator. I especially think your point about recognizing your time wasters is so true. It helps you identify where you’re actually spending your time. Such a great list! Thanks Carina for stopping by and reading. We have so many time wasters nowadays around us. They distract us and we waste lot of time. I can relate to your comment about telling your mom about your goals because my mom does the same thing! I, too, get annoyed, but this annoyance is a great motivating factor because I don’t want to give her the exact same answer the next time she asks me the question. Thank you Kate for stopping by and commenting.Glad that you can relate to my story. I think all mothers are same. They want their kids to do great. So if we have something in us to do, mothers will remind us again and again.